We go shooting with the new Sony FE 400mm f/2.8 G Master OSS lens, and give our first verdict, with sample photos. Sony’s new FE 400mm f/2.8 OSS lens is a premium telephoto prime lens for Sony E/FE mount cameras, and is designed for high image quality, high performance, and high reliability. We went shooting with the new lens, and have uploaded a number of sample photos. Shooting - Taken with the Sony FE 400mm f/2.8 G Master OSS lens. The lens features direct manual focus, with a large focus ring, so that you can override auto focus at any time, and there’s also electronic focus, so that you can adjust focus at a consistent speed when recording video using the thinner ring. Focus is extremely rapid, with the lens easily able to keep up with the Sony Alpha A9’s 20fps with continuous AF. The closest focus distance is 270cm (2.7m). The use of three fluorite elements, has enabled a more compact design and weight for the lens. Not to be confused with the fluorine coating on the front of the lens, designed to repel smudges and fingerprints. The lens has a weather-sealed dust and moisture resistant construction with a magnesium alloy lens body, and weather sealed buttons and controls. The build quality is excellent, with the lens feeling extremely well put together. The fit and finish of the buttons, and rubber rings feels excellent. The function button(s) can be customised so that you can set them to do what you want. One suggestion was that you could use them to switch on and off eye/face detection focus. Nearest to the lens mount (and camera body) is the drop-in 40.5mm filter holder. There will be a circular polarising filter available, which will have an externally accessible control so that you can turn the circular polarising filter. The tripod collar can be rotated, and clicks into place every 90 degrees. You can switch this click on or off. There is a hidden security lock hole on the side, so that you can use a security cable such as a Kensington lock to keep the £10,500 lens safely attached to you. The provided lens hood is carbon fibre, making it lightweight as well as strong. The lens has been designed to work with the 1.4X TC, and the 2.0X TC, giving 560mm and 800mm. 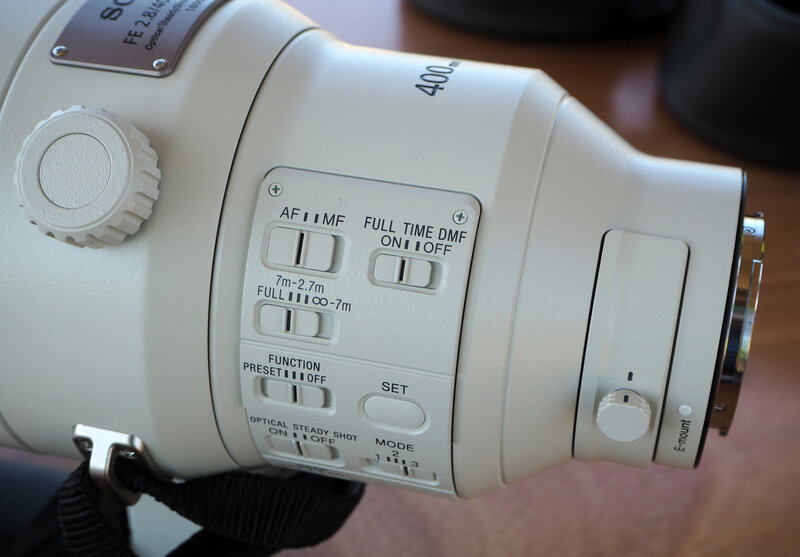 When used on a Sony APS-C E mount camera, such as the A6500, the lens gives a 600mm equivalent in 35mm terms. The case that comes with the lens has space for the optional 1.4x TC and 2.0x TC, as well as the optional CIR-PL filter (RRP £420). 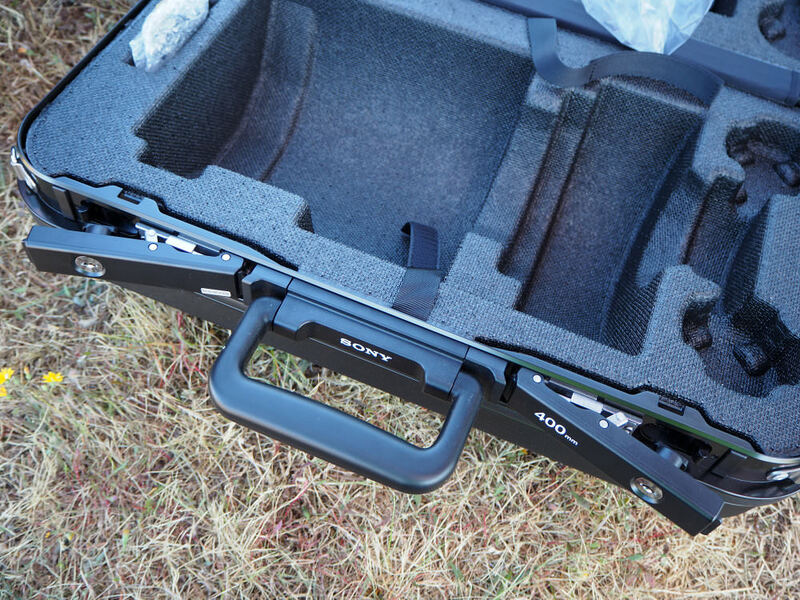 The lens comes with a strap, and there is a strap included for the case as well. The lens tripod mount has 2x 1/4inch tripod threads, as well as a 1/2inch tripod thread. 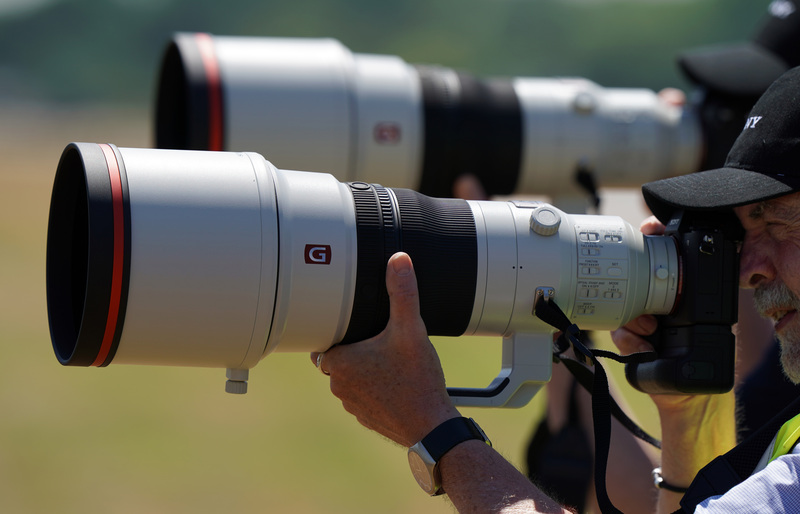 Weight - The Sony 400mm f/2.8 lens weighs 2987g, compared to the Canon 400mm f/2.8L which comes in at 3850g, and the Nikon 400mm f/2.8 which isn’t far behind at 3800g. The lens also has a balanced weight distribution, making the lens suitable for use on monopods or for use handheld. 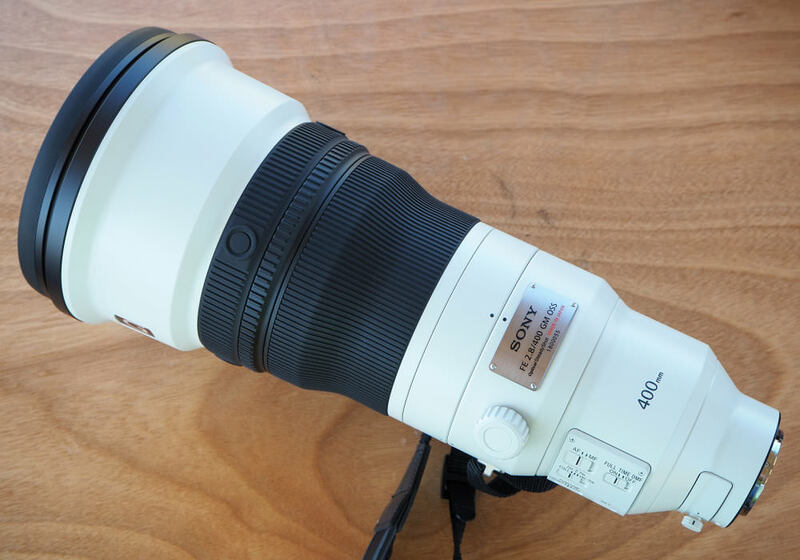 Whilst the lens is the lightest 400mm f/2.8 lens available, it is still heavy, and the use of a monopod, tripod, or other surface to hold the lens and camera is recommended, as you’ll soon tire of carrying a lens of this weight. If you’re used to shooting with one of the alternatives, this will feel lighter in comparison. Seriously - you’re comparing the Panasonic 200 f2.8 to this? What’s the logic? Compare it to a 200mm f2.8 FF format lens with a 2x converter and you’ve got something more like for like. [quote]Sony FE 400mm f/2.8 OSS Cons[/quote] What are Pros & Cons in terms of definitions ? What are Pros & Cons in terms of definitions ?